I have this amazing skein of yarn and a little over a month. Can it be done? This is Jill Draper Makes Stuff’s Empire yarn and it is amazing. Go see. 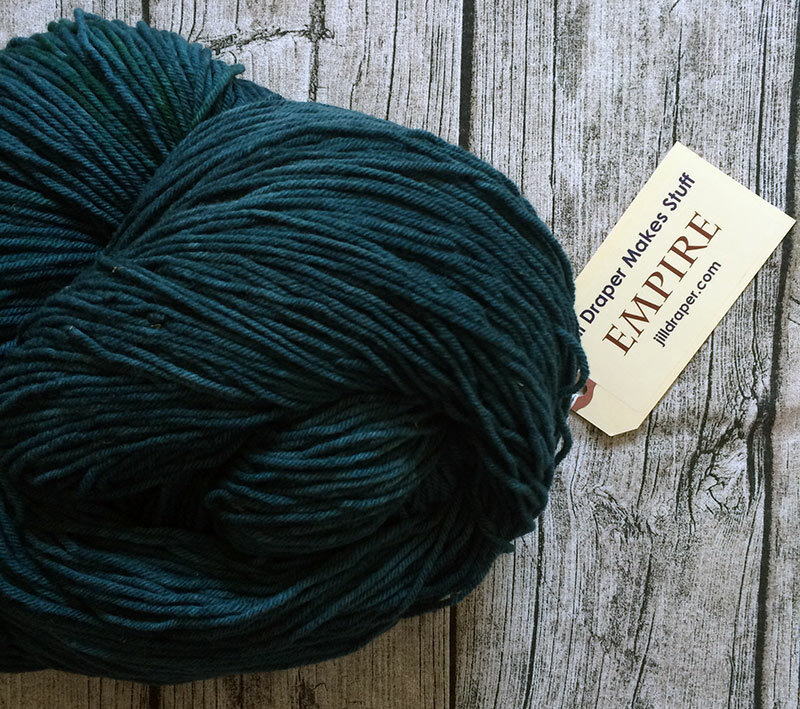 I thought I really had this figured out but after talking to Chawne this morning about the properties of the yarn, I’ve got so many new ideas. This yarn is very sturdy and chubby, so I’m going for something jacket-y. I want a big tall neck, but do I want a cardigan or pullover? I think I want 3/4 sleeves. Symmetrical fronts or not? A big neck or cardigan would make it easy to put on and take off, and since I’m making outerwear, that is important. Seriously, look at this thing it is amazing but I’d never be able to use a shoulder bag. POCKETTTTSSSSS. Like maybe something like this but with a big cowl and shorter sleeves? The shape of this is amazing, but maybe the body a little shorter. An awesome raglan detail to jazz it up? Longer in the back than front? And this. This is pretty much pefect except I’d like that higher neck. Damn, I love sweaters. No doubt, I’ll just make something up as I go along and hope I don’t get carried away and run out of yarn. Are you going? Are you sweatering? Do you have one of the coveted gigantic balls of Empire and know what you want to do with it? I am not going this year, as it’s our ten year wedding anniversary. (Also, I’ve traveled already this year and am out of money!) But I am hoping to finish the sweater I bought yarn for at last year’s Rhinebeck before then. I’m thinking about Kyra for my lovely pile of Empire. I made Vera’s Golden Wheat cardigan last year out of eco wool and would love an empire version as outerwear! The Berroco one? That is perfect! Uh oh, add another contender.